All Point homes currently listed for sale in Point as of 04/24/2019 are shown below. You can change the search criteria at any time by pressing the 'Change Search' button below. If you have any questions or you would like more information about any Point homes for sale or other Point real estate, please contact us and one of our knowledgeable Point REALTORS® would be pleased to assist you. "265.792 ACS. 160 FM 513 ,POINT,TX. UNIQUE HARD TO FIND PROPERTY WITH PRIVACY, LOT OF ROAD FRONTAGE WITH PIPE FENCING, ROLLING LAND 13 PONDS, 4800 SQ. FT. BARN WITH 11 STALLS, 3000 SQ. FT. BARN, & 4 LOAFING SHEDS CORRALS AROUND THE BARNS AND SHEDS. PRESENT USE WORKING CATTLE RANCH & HAY. BEAUTIFUL HOME SITTING IN THE TREES, HOME IS UPDATED WITH THE LATEST, 3 BED. 2 LIVING AREAS, FIREPLACE VERY OPEN PLAN. MAIN HOME IS 2040 SQ. FT. & A 4-2 DBLWIDE FOR GUEST OR TENANT. LAND IS ROLLING WITH BIG T"
"YOUR PRIVATE OASIS ON 8 ACRES! 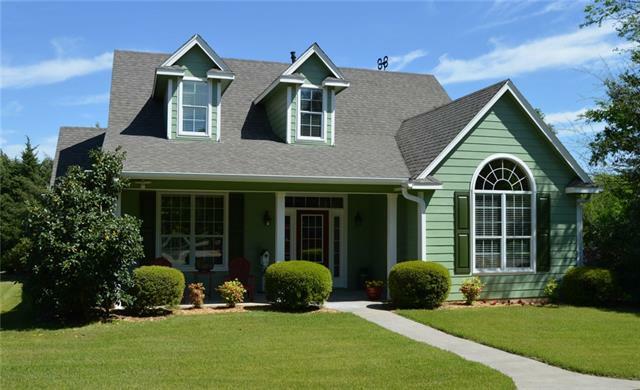 2 story country cottage style 3 bdrm, 2 bath & 1 half bath home on 8 gorgeous, manicured acres & irrigated from 2 ponds, completely fenced with 2 automatic double electric gates plus couresty night lighting along front of property & driveway. Concrete RV site with full hook-ups, 2 storage sheds, 2 ponds, chicken house with fenced yard & roof plus fenced garden area. This IMMACULATE AND MOVE-IN READY home has covered front and rear porches with concrete back patio,"
"Fantastic Floor Plan, 3 Bedrooms split from Master. Formal Living is open to Dining and Kitchen and second Family Room. Large Kitchen looking out to Treed Back Yard with concrete Fire Pit and concrete sitting area, open Patio. Enclosed Hot Tub area. and view of Boat Dock, Ramp and Fishing Pier. Majority of property has fence for Exotic Animals, lots of Trees throughout. See additional 5 acres WITH nice fishing pier and boat launch, LEASED YRLY from Sabine River Auth. $68 approx. Pond at fro"
"WALKING DISTANCE TO LAKE TAWAKONI! This home is in brand new condition, hard to tell it has ever been lived in! Sitting on 4 gorgeous acres, this home features 3 bedrooms, 2.5 baths, granite counters, custom cabinets, tile, carpet and laminate flooring! Low maintenance Hardie Board Siding with gutters and drainage plumbed to the pond with irrigation to keep the 4 acres healthy and green! Electric gate and paved roads on property with courtesy lighting. 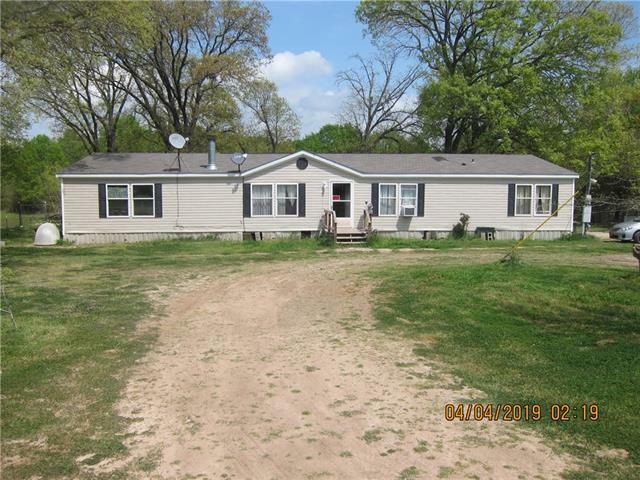 Private subdivision boat ramp and pier to L"
"This 2 bed, 2 bath home on 10 acres is surrounded by a large ranch & located near Lake Tawakoni. The property has two stock tanks & an unused well. Need room for all your tools? No problem! This property features a 50 x 32 garage-workshop with electric & RV Hookups, a 10 x 16 insulated building with electric & covered porch, a 10 x 20 insulated building with electric & covered porch. 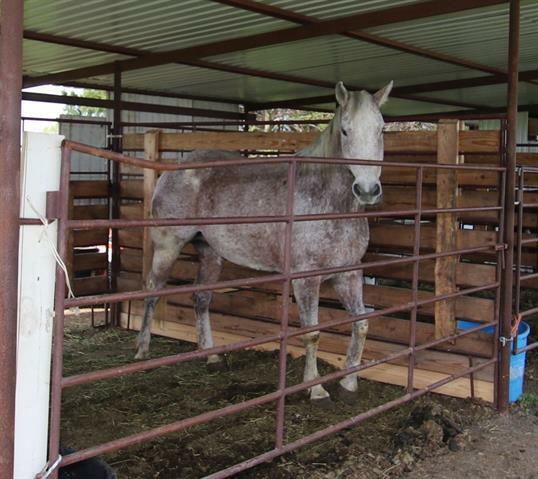 Your horses will be happy in the 3-stall barn with tack room & electricity. There s also a kennel for you pets!" "Horse Lovers Dream, come see this Custom Built home that a features an expansive front porch that welcomes you home. Through the front door into the big open living area. Big master bedroom with ceiling fans throughout the house. Vinyl plank flooring with wood look in living area & kitchen. 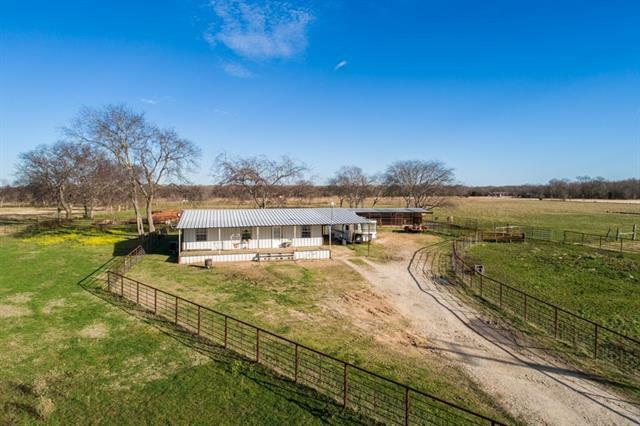 Outside features front and back covered porches, 24 X 24 detached garage-shop and 25 X 48 horse barn with 3 stalls and feed room. Pasture is fenced for horses or cattle. Nice mature trees in the yard. Take a"
"Double wide is large and roomy. Very cluttered as the owners are packing to move. 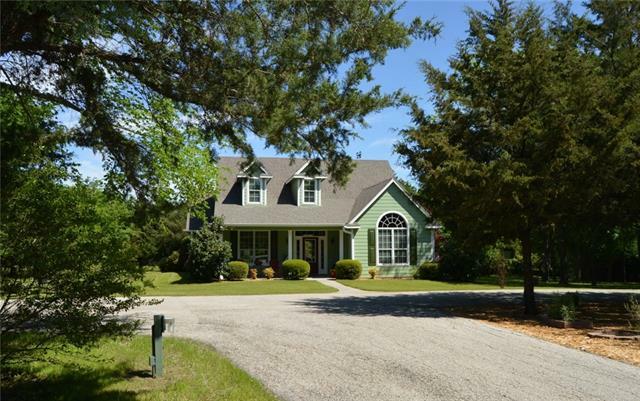 Heavily wooded with a 2+ acre lake out the back door. In 10 years it has never gone dry, stocked with cat and bass and could be a real show place. Tons of deer. New fencing." "Rustic country charm at it's finest! Freshly remodeled with rustic wood floors featuring a torch design and polyurethane coating which are absolutely stunning! New rustic light fixtures, cedar walls, and the ceilings have been completed with old barn tin! Property features a spacious open floor plan with tons of cabinet and counter space, built in desk in living, and so much more! 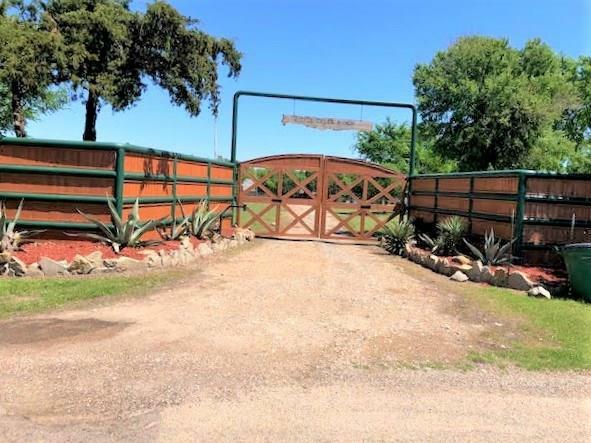 There is a lovely pipe gate entry, a mixture of pipe and barb wire fencing, and property is cross fenced with holdin"
"Bring your vision & home improvement plans, great country home on 2 wooded acres of serenity & peace. Metal construction & metal roof, wrapped around elevated porch. Secluded but close to Hwy 69 between Lone Oak & Emory. Open living w-laminated wood floors, galley style kitchen w-huge pantry & eat-in brkfst area. Foam insulation, large master bdrm w-wood pattern tile flooring & huge bath w-sep vanities, new garden tub & walk-in closets. 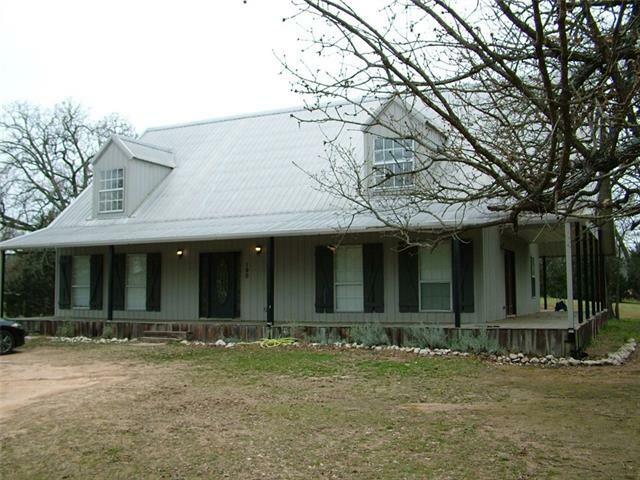 Guest bedroom & master down, upstairs features large game r"
"awesome over half acre Sabine River Authority water frontage on Lake Tawakoni, offering income producing property. part fenced, work shop and 20 storage units w the ability to add more per the owner. dbl covered parking. call for more information. lift station for sewer. 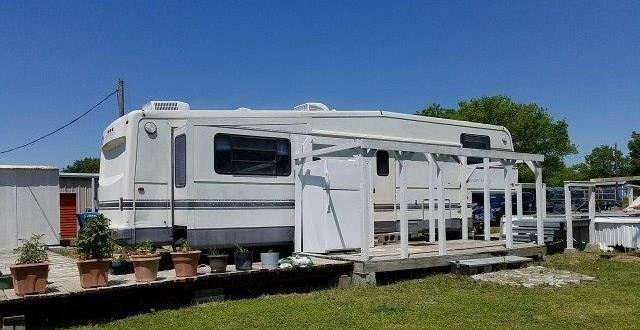 SELLER IS OFFERING THE RV AT NO ADDITIONAL CHARGE TO BUYERS MAKING THIS PERFECT SETUP FOR NEW OWNERS. 60 per year for Sabine river authority lease back. 12 units lease for 60 per month, 8 smaller units lease for 30 per month." "Recently reduced! 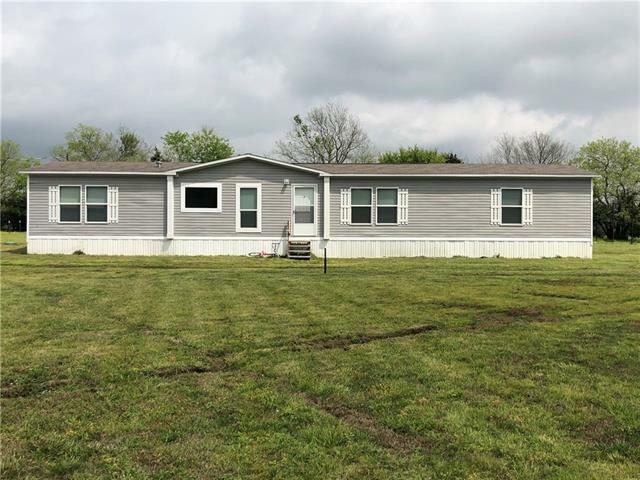 Gorgeous 4-2 manufactured home on 2 heavily treed acres. Located adjacent to Cedar Creek; this property features and additional 1.5 acres of SRA property and an abundance of wildlife! This property has recently been remodeled and features a 1600 square foot metal workshop-garage and multiple storage buildings. Some amenities include multiple living areas, oversized kitchen w breakfast bar & island, dining area w beautiful ceiling mural, gorgeous redesigned master suite, separat"
"Welcome to the Country! 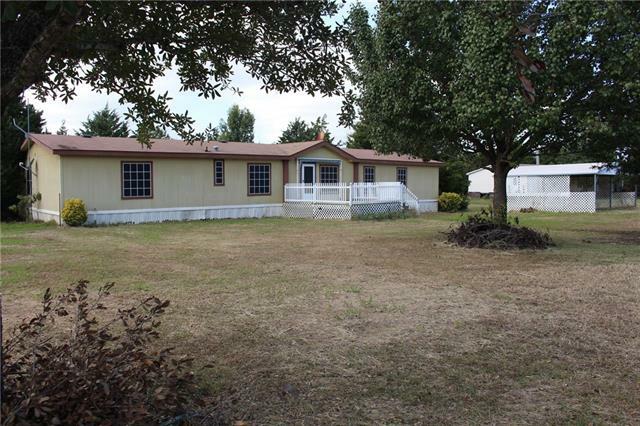 4 bedroom 2 bath Doublewide on 2.121 acres located between Point & Miller Grove. The home features split bedrooms, 2 living areas, large kitchen and oversized laundry room. This property has so much to offer! Dont miss out on this one! Schedule your showing today.. Bring all offers!" "Ready for its new owners! 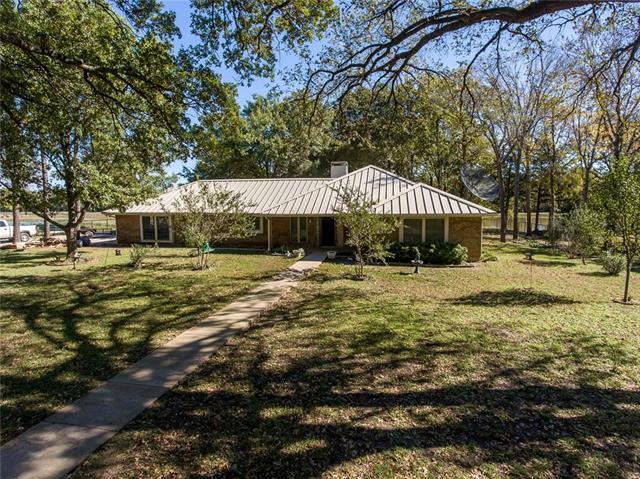 This 3 bedroom, 2 bath home on almost 6 acres has so much potential. Featuring an oversized kitchen with fridge included, split bedroom floor-plan, and master bathroom has a separate garden tub with skylight. Besides the house is a shop with overhead door for covered parking. Property is fenced for livestock. 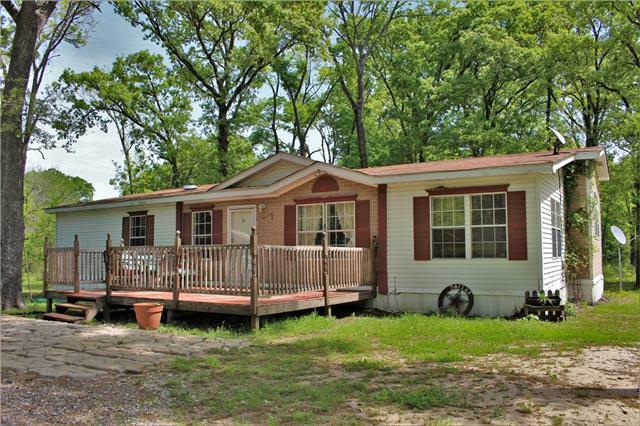 Far enough for quiet living, but a short drive from dining, schools, and popular Lake Fork & Lake Tawakoni for fishing or hunting." "This home has a lot of potential, with 4 bedrooms, two full bath, a den area with a smaller room adjoined, which could easily be used as an office, sitting area or guest room. 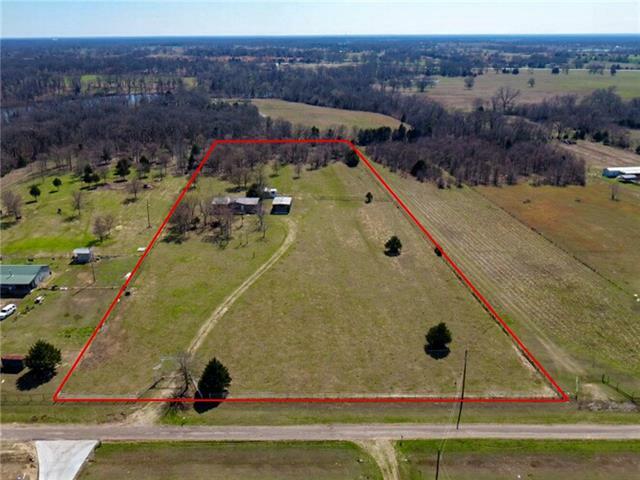 The 2.22 acres gives this home just enough room to stretch out. The back part of the property is wooded with plenty of space between neighbors. This property is within the city limits but still boast a country atmosphere. New Air-conditioning has been installed with a transferable warranty. Please do not enter onto propert"